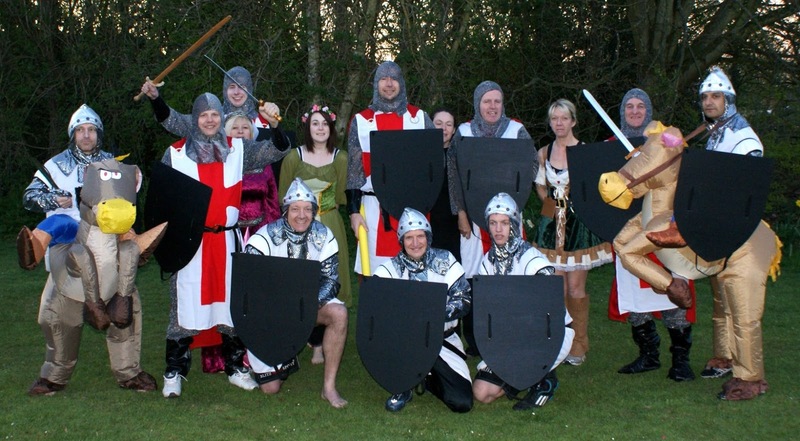 Phoenix Knights - Fifteen members of Phoenix Wado Ryu Karate Club will be running the 2 Castles 10K run on Sunday 9 June dressed as knights (some as knights on horseback) and fair maidens in support of Against Breast Cancer. Many of us have friends and relatives who have or are suffering from breast cancer – please help us to make a difference by making a donation. Phoenix Knights include: Peter Rixon, Clive Lange, Fred Bailey, Dave Cleaver, Craig Lange, Chris McConville, Jim Quinn, Alan “Kit” Carter, Sam Cleaver, John Weir, Mike Bailey and our fair maidens – Claire Dunbar, Michelle Hart, Marie Rutter and Gemma Chaplin. Official Website and Route: www.twocastlesrun.org.uk To view the 2011 photos see the post and albums.